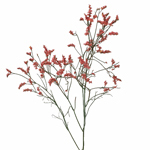 Limonium has several lateral stems that produce hundreds of papery blossoms. 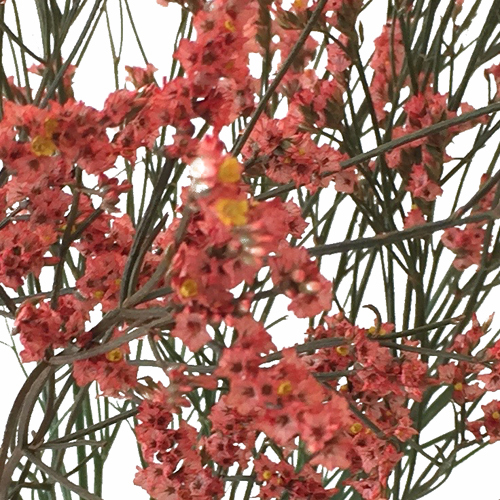 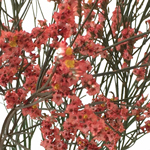 This coral limonium has been airbrushed with a special floral paint. 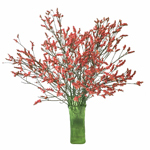 The deep coral color will complement your beach themed wedding décor while adding texture to your floral designs.